Elegant and eye-catching, the stunning Adonis the perfect addition to any bedroom. Rich velvet covers the deep tufted design. 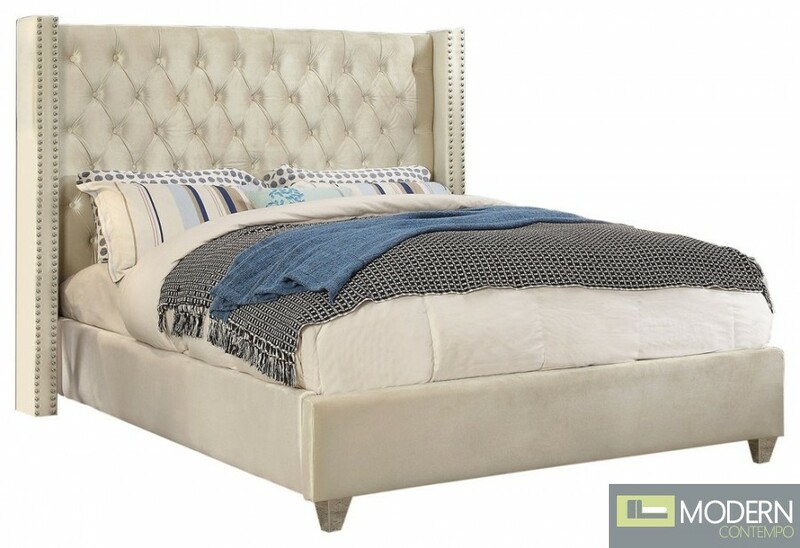 A beautiful wing bed design is complimented by hand applied chrome nail head details. Strength and beauty is guaranteed with a solid wood frame and stainless steel legs.